The other titles in series are Hope Harbor: A Novel, followed by Sea Rose Lane, and Sandpiper Cove. The moment I started reading Hope Harbor, my heart was immediately engaged with the unique characters. Each one brings with them a well-crafted background and a heart that longs for love, freedom and faith. The players we meet at the beginning of the series continue throughout the story. 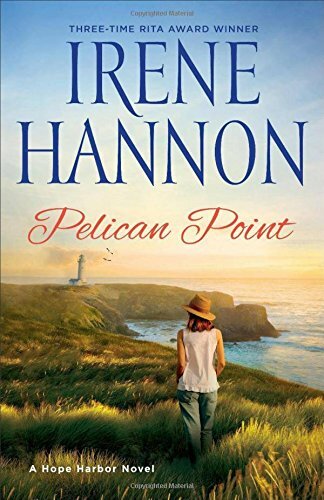 Pelican Point isn’t the last of the Hope Harbor novels for which I am so glad! 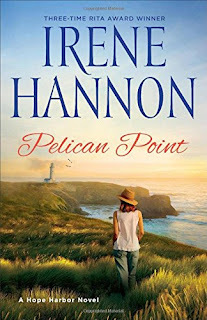 Irene Hannon has crafted plots that have a touch of mystery, suspense, romance, legacy, and so much more. In the Pelican Point book, we meet Ben Garrison who is the grandson of one of the Hope Harbor residents. He had visited his grandfather many times and even went out fishing with him, listening to the tales his grandfather wove while they were out on the water. Now Ben returns in what he plans as only a short stay, but with the returning comes a flood of memories Ben doesn’t count on. Plus, he meets the editor of the town paper named Marci and she is a spitfire of a gal! As the two interact in various scenes, one gets the feeling these two characters won’t get along ever! Is that really the case? The series isn’t sappy or simply romance; there is a tale in each book and characters with which any reader will be able to identify. Plus, these are stories that are fun to read, encouraging and instilling hope into the hearts of readers. So, please read them before the next one is published. You will be so glad you did!